Tonight's Anime Month screening is Hayao Miyazaki's My Neighbour Totoro, one of Miyazaki's most beloved films. 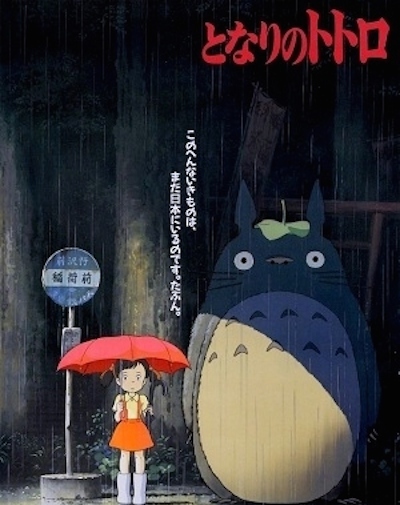 His later works - such as Ponyo, Princess Mononoke, and particularly Spirited Away - have achieved international recognition, though in Japan Miyazaki is still best known for the magical innocence of My Neighbour Totoro. 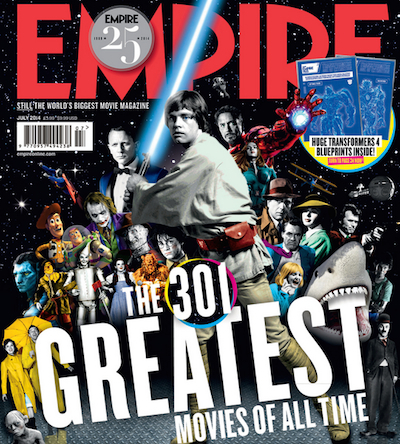 Empire magazine has released the results of its latest readers' poll, The 301 Greatest Films Of All Time. The list of 301 films will be published on Thursday in Empire's 301st issue. 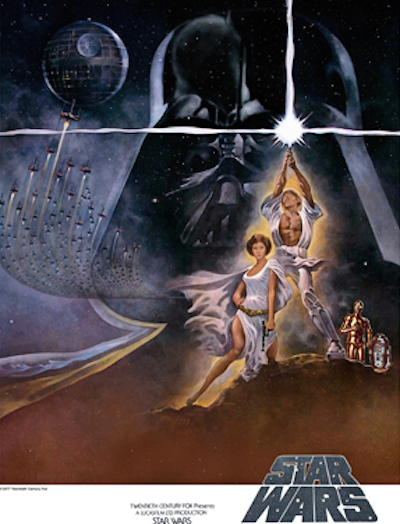 The #1 film is Star Wars V: The Empire Strikes Back. This is Empire's tenth greatest-films list. 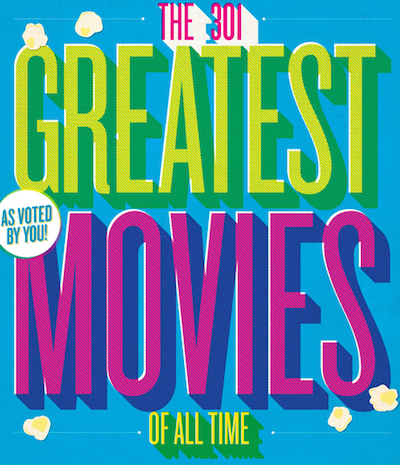 The previous ones are: 100 Favourite Films Of All Time (1996), Your 100 Greatest Films Ever! (1999), The 50 Best Films (2001), 100 Greatest Movies Of All Time (2002; Australian edition), 100 Greatest Movies Of All Time (2004), 201 Greatest Movies Of All Time (2006), 100 Greatest Movies Of All Time (2007; Australian edition), The 500 Greatest Movies Of All Time (2008), and The 500 Greatest Movies Of All Time! (2013; Australian edition). 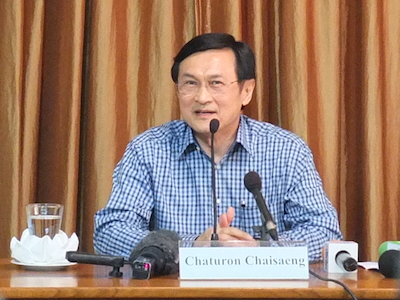 Chaturon: "I'm ready to be arrested..."
Chaturon Chaisaeng, who was a member of the caretaker cabinet before last week's coup, gave a press conference at the FCCT in Bangkok today. Chaturon was ordered to report to the Royal Thai Army HQ, along with the rest of the cabinet, though he is one of the few who did not comply. At today's press conference, he affirmed his opposition to martial law and the coup, and stated: "I'm ready to be arrested." Sure enough, soldiers arrived and took him away. Over the past few days, the coup leaders have issued orders to more than 200 politicians, journalists, and academics, threatening them with arrest if they do not report to the military. Many who did report have since been detained for up to a week at undisclosed military installations, though some of the most high-profile detainees have now been released. Former Prime Minister Yingluck Shinawatra is no longer under military detention, and Suthep Thaugsuban has also been freed. Suthep was immediately taken to the Office of the Attourney General to answer charges related to his PDRC protests, then taken to the Criminal Court and indicted for murder in relation to the 2010 military massacre. He was granted bail in both cases. He had previously refused to answer the murder charges on four separate occasions. Coup leader Prayuth Chan-ocha has announced that anyone charged with offences relating to national security or lèse-majesté will now face a court martial rather than a regular trial with due process. After Chaturon's arrest, it was revealed that he will be subject to a court martial. Prayuth held a press conference yesterday to confirm that his National Council for Peace & Order had received royal endorsement; unlike previous coups, the decree was issued ex post facto and the King was not present at the ceremony. Two days after the most recent Thai coup, more details have emerged about the moments before the coup took place. On Friday afternoon, during the negotiations organised following the declaration of martial law, army chief Prayuth Chan-ocha repeatedly asked representatives of the caretaker cabinet if they would be prepared to resign. When they refused to do so, Prayuth suspended the meeting and declared the coup. More than 100 politicians, journalists, and academics have been ordered to report to the military or face arrest. Also, the official name of the group of coup leaders has been changed: they are now known as the National Council for Peace & Order (instead of the National Peace & Order Maintaining Council). Opposition to the coup has been more noticeable than in 2006, and some token arrests have been made. Demonstrations at Victory Monument in Bangkok attracted several hundred protesters yesterday and today, in defiance of the military's ban on gatherings of five or more people. At 4pm today, the Thai military launched another coup. 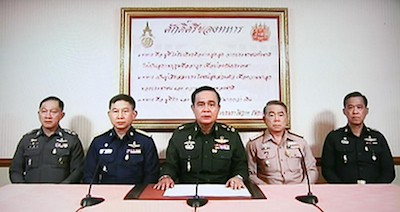 Army chief Prayuth Chan-ocha confirmed the coup in a live television announcement broadcast on all channels, and all civilian broadcasting has been suspended. A night-time curfew has been imposed. The constitution (itself drafted by the military following their previous coup) has been abrogated. 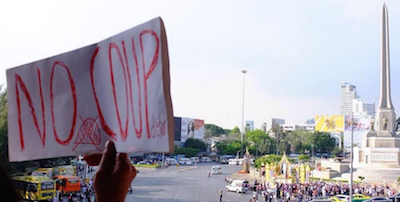 Including today's takeover, there have been a dozen successful coups since Thailand's first constitution in 1932. Since their declaration of martial law on Tuesday, the military had been acting as a mediator between the UDD, the PDRC, the Election Commission, Pheu Thai, and the Democrats, with representatives from each group meeting for negotiations at the Army Club in Bangkok. Prime Minister Niwatthumrong Boonsongpaisan did not attend the meeting, though Niwatthumrong, the cabinet, and former prime ministers Yingluck Shinawatra and Somchai Wongsawat have been ordered to report to army HQ. This afternoon, Suthep Thaugsuban, Jatuporn Prompan, and other UDD and PDRC leaders were arrested during the Army Club negotiations. Former prime minister Abhisit Vejjajiva has also been detained. It's not clear whether the army launched the coup because the negotiations were not progressing, or whether the coup was premeditated and the negotiations were a pretext to detain the protest leaders. The UDD and PDRC protests have now been dissolved. "Martial law is not a coup d'etat..."
The Thai military has declared a state of martial law, effective from 3am this morning. 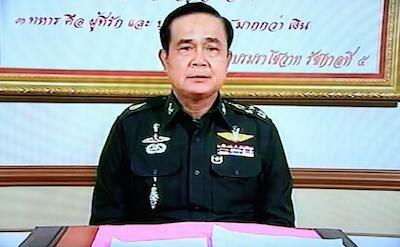 Army chief Prayuth Chan-ocha made a televised statement announcing that the military has taken over control of national security. In a message broadcast by Channel 5, a station owned by the military, he sought to reassure the public: "We urge people not to panic. Please carry on your daily activities as usual. The invocation of martial law is not a coup d'etat." According to the constitution, the military has the power to declare martial law only "in a certain locality as a matter of urgency" (article 188). In other circumstances, "The King has the prerogative to declare and lift the martial law". Today, the military declared martial law throughout the country, not "in a certain locality", and a royal decree has not been issued, thus the declaration is unconstitutional. The imposition of martial law represents a further undermining of the government's authority, though Prime Minister Niwatthumrong is still nominally in charge. The election, previously scheduled for 20th July, has been postponed indefinitely. As in 2006, it seems that the army does not have the patience to wait for an election, and prefers its own direct intervention. "The PM's status has ended..."
Niwatthumrong Boonsongpaisan, a former Shin Corp. executive, has been appointed caretaker Prime Minister to replace Yingluck. Niwatthumrong was also the head of the government's controversial rice subsidy scheme, and today the National Anti-Corruption Commission recommended that Yingluck should be impeached by the Senate for her role in the policy. Impeachment would result in a five-year ban on political activity, though as she has already been forced to resign, it's not clear how she can be dismissed again. The Constitutional Court's case against Yingluck relates to her demotion of Thawil Pliensri in 2011. Thawil was head of CRES (the Council for the Resolution of the Emergency Situation which launched the miltary massacre in 2010); Yingluck replaced him with the chief of police, then appointed Thaksin's brother-in-law Priewpan Damapong as the new police chief. The Court ruled that this was an act of nepotism that violated article 266 of the constitution, which prohibits "the recruitment, appointment, reshuffle, transfer... of a Government official" if such action is performed "for personal benefits or for the benefits of others or of a political party". Yingluck's dismissal is the third occasion on which the Constitutional Court has ordered the resignations of prime ministers associated with Thaksin. The Court dismissed Samak Sundaravej in 2008 for hosting a TV cookery show. The Court ruled against Somchai Wongsawat, Samak's successor, later that year, in an attempt to placate PAD protesters. Today's verdict seems to echo the Somchai case, another 'judicial coup' to appease anti-Thaksin protesters. Just as the PAD blockaded Government House and Suvarnabhumi airport, PDRC protesters have blocked intersections in Bangkok and disrupted the election. The courts have sided with the protesters against the government, nullifying the 2nd February election and preventing the dispersal of the PDRC. Neither the Constitutional Court nor the NACC accused Yingluck of actually breaking the law. The Court ruled that Yingluck was legally authorised to transfer Thawil, though the transfer was not "in accordance with moral principles". Likewise, NACC spokesman Vicha Mahakun confirmed that corruption had not been proven: "the evidence is not clear that the accused took part in corruption, or whether she allowed corruption or not". Yingluck's predecessor, Abhisit Vejjajiva, was also convicted of inappropriate staff transfers: he demoted Piraphon Tritasawit in 2009, and ignored the Administrative Court's verdict requiring reinstatement; and the Court ruled in March that his 2009 dismissal of Patcharawat Wongsuwan was also unlawful. However, neither case reached the Constitutional Court, unlike Yingluck's transfer of Thawil. 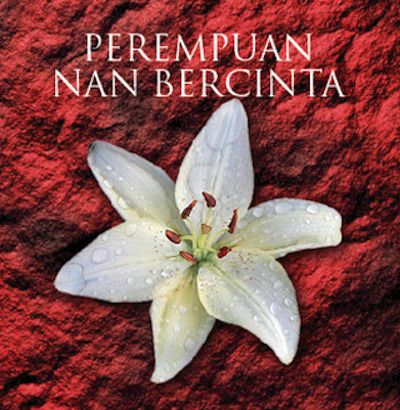 Faisal Tehrani's novel Perempuan Nan Bercinta has been banned by the Malaysian government. The book was endorsed by Malaysia's Prime Minister when it was published in 2012, though last week the Kementerian Dalam Negeri accused it of being "prejudicial to public order". 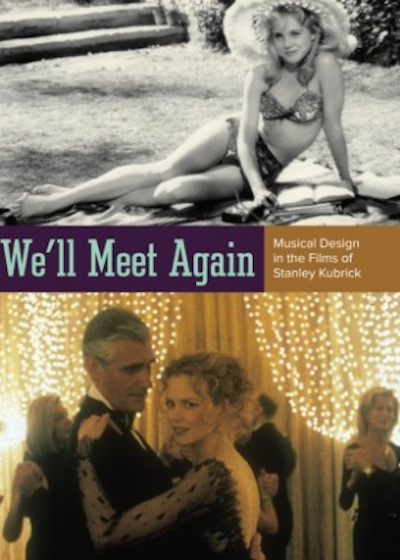 We'll Meet Again: Musical Design In The Films Of Stanley Kubrick, by Kate McQuiston, examines Kubrick's use of music and his collaborations with the composers who produced his film scores. Kubrick's contribution to the history of film music is substantial, though this has been largely overlooked in most of the books written about him.